With a host of world leaders meeting at United Nations Headquarters in New York as part of the opening of the 70th session of the General Assembly, key UN agencies joined Interpol today to launch a major new initiative to enhance the protection of cultural heritage targeted by terrorists and illicit traffickers. 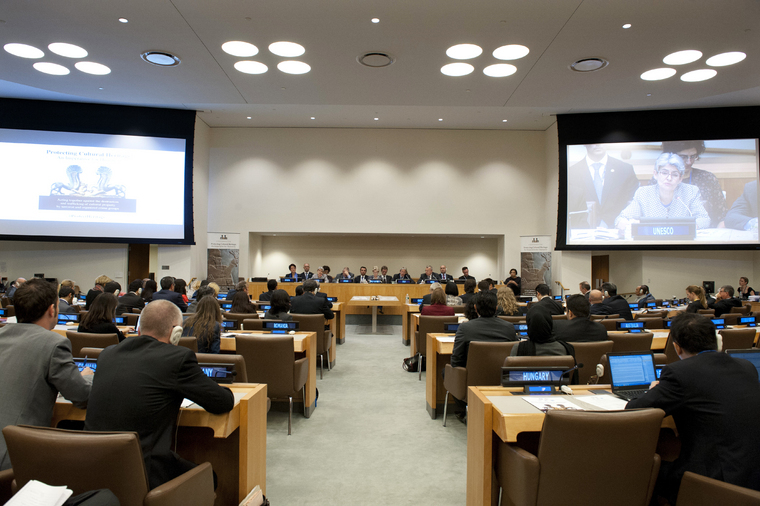 The ‘Protecting Cultural Heritage – An Imperative for Humanity’ initiative was presented at the UN by the Ministers of Foreign Affairs of Italy and Jordan, with the participation of principals from the UN Educational, Scientific and Cultural Organization (UNESCO), Interpol and the UN Office on Drugs and Crime (UNODC), as well as ministers from various Member States. 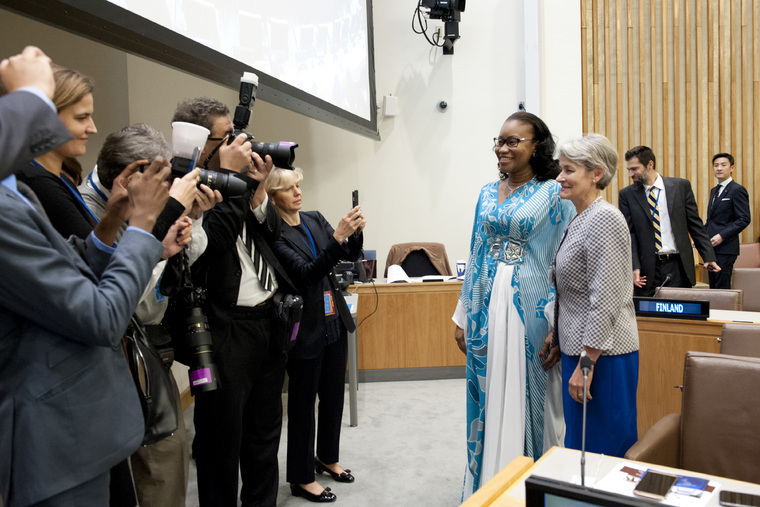 “Culture is on the frontline of conflict – we must place it at the heart of peacebuilding,” said UNESCO Director-General Irina Bokova. For his part, the Executive Director of UNODC, Yury Fedotov, said it was important address trafficking and the destruction of cultural property as “crimes that strike at the very core of our civilization and heritage”. 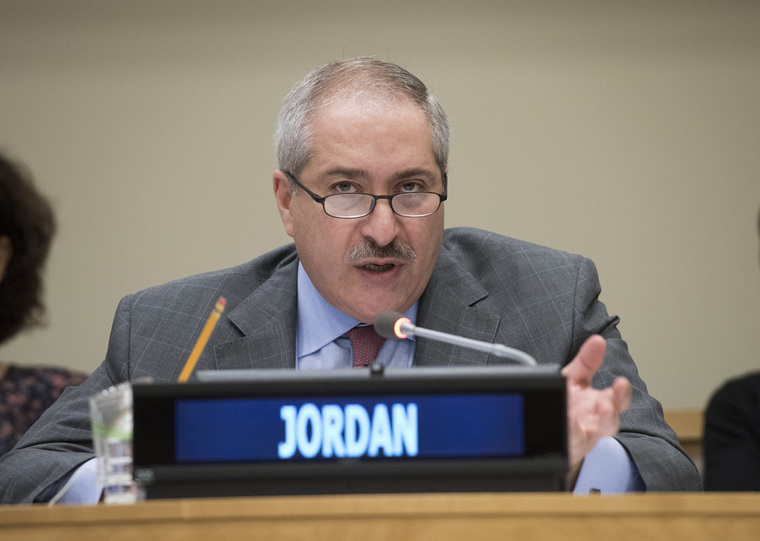 “The religious and cultural heritage of the Middle East, the birthplace of civilization and religions, belongs to all humanity,” said Nasser Judeh, Deputy Prime Minister and Minister of Foreign Affairs of Jordan. The initiative will follow up on resolutions and decisions adopted by the UN Security Council, the UN General Assembly and other international bodies. There has been a sharp increase in terrorist attacks and destruction of cultural heritage of countries affected by armed conflict, as well as the illicit trafficking and sale of cultural objects. These acts not only generate income for terrorist groups in the Middle East and beyond, but also constitute a tactic of war. 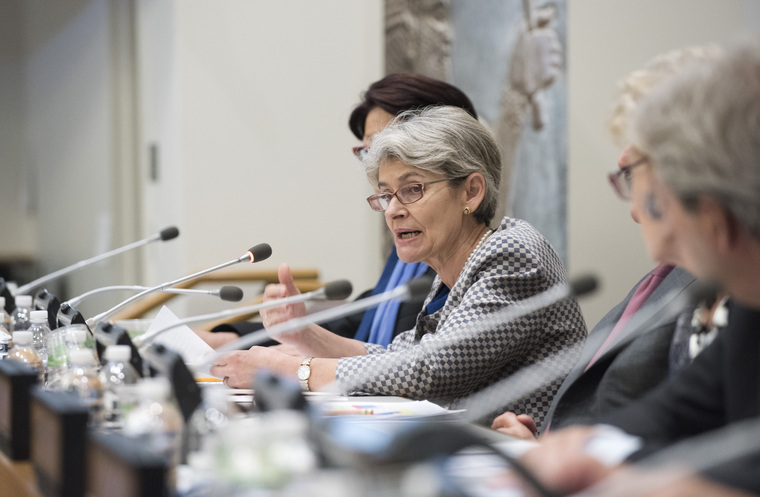 Meanwhile, Mireille Ballestrazzi, President of Interpol, highlighted the need “to combine our efforts and resources to efficiently curb this criminal phenomenon and protect the world’s cultural heritage for future generations”. The ‘Protecting Cultural Heritage’ initiative is a project open to all Member States, international organizations and partners wishing to join forces in support of the protection of cultural heritage from destruction and/or illicit trafficking. 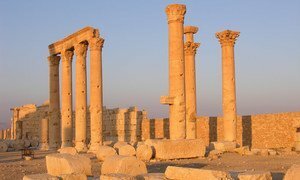 Extremists “cannot silence history,” the Director-General of United Nations Educational, Scientific and Cultural Organization (UNESCO), Irina Bokova, declared today, firmly condemning the destruction of Palmyra’s ancient temple of Baalshamin, in Syria, a World Heritage site.